Getting Kids to Listen in the Classroom! Hey there Blog Hoppers! It's Christy and Tammy from Fluttering Through First Grade! Getting our class to listen consistently can be one of our bigger challenges in today's classroom. Kids today just have a lot to say! So, we've made it our lesson plan mission to get our kids actively listening and participating in their learning every day, in every way. 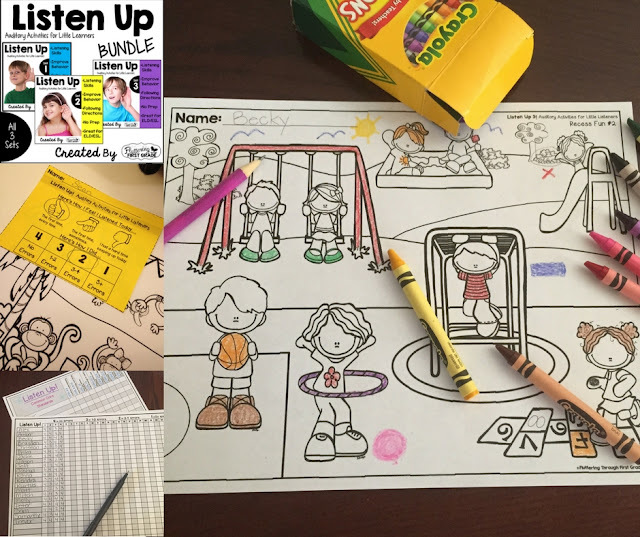 Here are a few of our favorite tips and tricks for getting kids to listen in the classroom! 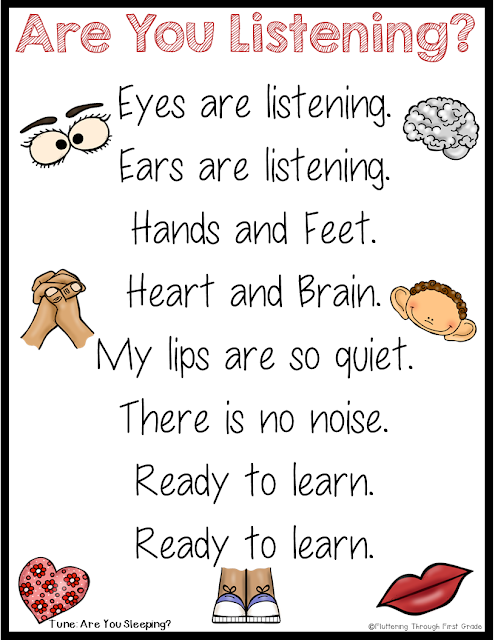 Providing expectations for listening in our classroom sets the stage for success. 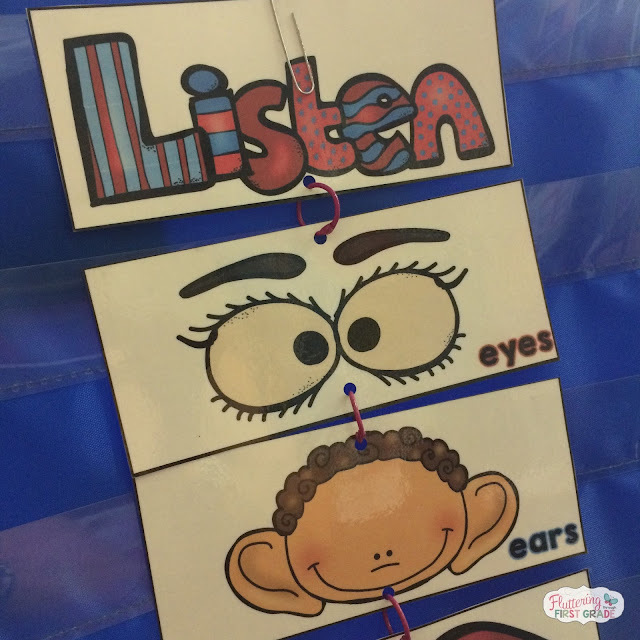 We love keeping visual reminders for all sorts of things in our class, and listening is no exception. This Listen reminder hangs front and center in our classroom to remind students how they should be listening from head to toe. Sometimes, you've just got to sing the listening into them! When things get chatty, we get chiming. All it takes is a few of our future The Voice contestants to join our melody and before we know it they're all singing along about listening and not talking anymore. Score! You can download our Visual Reminders for Listening and Are You Listening? song poster from our blog. 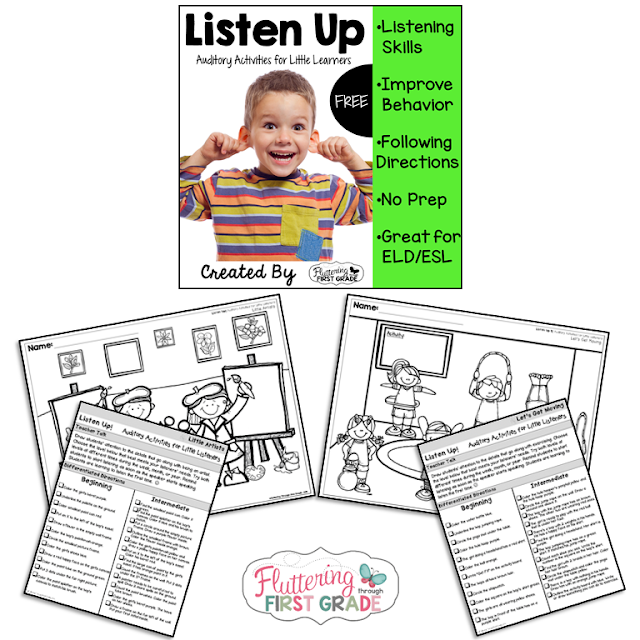 One of the best things we've created for our classroom to support their developing listening skills are our Listen Up Auditory Activities. They help focus our students' attention first thing in the morning, after recess, before lunch, at the end of the day, in centers, whole group, with parent volunteers, with a substitute teacher...Pretty much anytime of day! Holding students accountable for their listening is a huge part of our Listen Up program. We ask them to reflect so we can better understand their understanding (informal assessment) and we use the reflection slips as an opportunity to conference individually with students for various reasons. Data tracking their Listen Up skills helps us intervene as necessary as well as conference efficiently with parents! 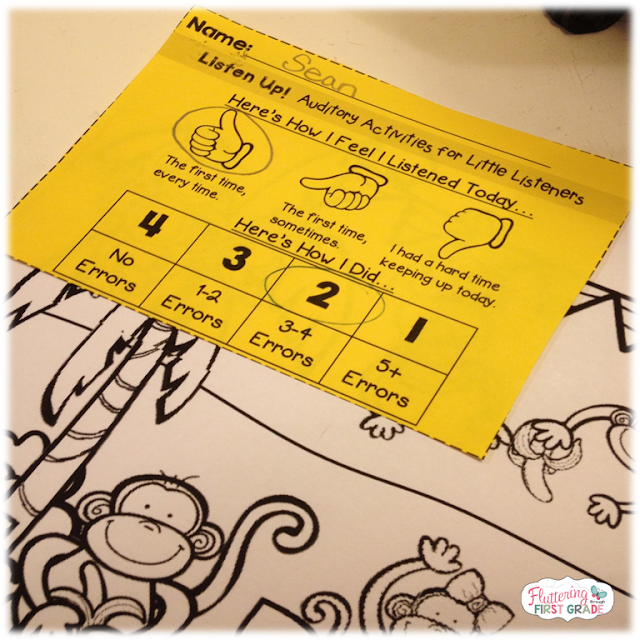 You can try our Listen Up activities by downloading them for free from our TpT Shop. All of your Blog Hoppin Authors are participating in the big TpT Love 2 Day Sale. 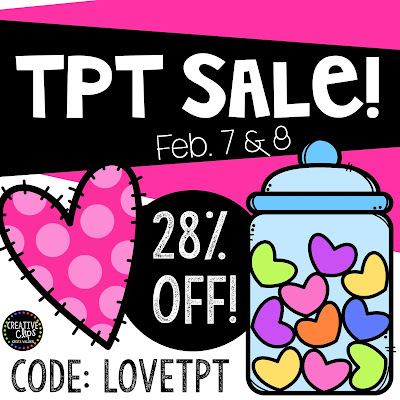 Save up to 28% off using code LOVETpT in our stores! Just click the image to find links to shop our stores. So fill your carts and your hearts and save big with TpT!